changed in search in 2011 that as an entrepreneur, you need to know about. Here’s a link to the presentation I’ll be giving. Fantastic meeting! Jenny provided incredibly useful SEO information everyone should know and Kimberlee convinced us of the importance of us jumping onto the mobile marketing train and gave us the tools to do so! Great presenters – each very knowledgeable in their area. They shared current, relevant, important information. I enjoyed it and learned so much! Thanks, Christine, for organizing such a great meetup. This is my second meeting and both have exceeded my expectations. Very insightful. A lot of information to digest. The event delivered just as I had hoped! Wow! 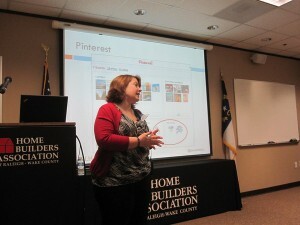 Tonight’s event was great, with some solid information about what’s going on with Google+ and search optimization. Great information that all business owners need to know. The presenters were very informative and educational. I truly enjoyed it. Kudos to Christine for putting this all together! This meet-up was really informative. I learned a lot about the ins and outs of Social Media as well as the importance of Mobile Marketing. Both speakers were excellent. They provided us with a wealth of information and left me wanting to know more! Very knowledgeable speakers with current, actionable information, and answers for every question. Good investment of time. Thanks Christine.